I am pleased to welcome M.L. Rowland to Escape With Dollycas today! Search and Rescue has traditionally been a male-dominated field and, for the most part, still is. For about a dozen years, I was a very active member of a very active Search and Rescue team in the mountains of southern California. For almost two of those twelve years, I was the only woman on the team. One question I’m asked a lot, mostly by women, is what it’s like to be a woman on Search and Rescue. Some teams have a lot of women members; some not so many. Sometimes this is due to the normal ebb and flow of membership of a volunteer team, sometimes to the demographics of the community it serves and from which the team draws its members, sometimes, in my opinion, to how women on the team (and women in general) are treated. On our team, while minimal allowances were made for women on the mandatory physical fitness test, there was no difference in what was required in all other aspects of team membership. To qualify as a SAR Technician, Level II, as required by our team to operate in the field, we all had to pass the same National Association for Search and Rescue written and field tests which included the Incident Command System, tracking, basic survival, search tactics, and land navigation and orienteering. While operating on a team of mostly men, I never expected anything from them that I wasn’t prepared and able to do for them. In other words, I didn’t expect special treatment based on my gender. I held my own, carried my own weight. I worked as hard as, sometimes a lot harder than, every other member of the team. What I lacked in physical strength, I tried to more than make up for in other ways: training, knowledge, expertise, and commitment. While on a mission, when lives, including our own, were at stake, I depended on my teammates and they needed to be able to depend on me for anything and everything. Was Search and Rescue work often difficult and physically demanding? Yes. Was working in close proximity with so many Manly Men challenging at times? Absolutely. Do I ever wish I had done something else with my life during those years on the team? Not for a second! To find out more about M.L. Rowland and her books check out her webpage here. As a volunteer for Timber Creek Search and Rescue, Gracie responds to a call out for a car that’s gone over the side of a treacherous mountain road. The crash, which Gracie quickly suspects is no accident, proves to be one in an escalating and deadly series of events that lead her right back to Camp Ponderosa, a church-owned camp where she works as Program Director. As Gracie probes more deeply into the dark secrets at the camp, she unearths a hidden world of illegal activities, including murder…and finds herself going head-to-head with desperate perpetrators who will do anything to silence her forever. This second installment is even better than the first. This time the recovered body is that of a friend and co-worker at Camp Ponderosa and Gracie can’t help but get involved. When she does she finds all the clues lead right back to the camp and even when she becomes a target she just can’t give up. Just like Zero-Degree Murder the suspense starts from page 1 and Gracie has no idea who she can trust. Gracie is a strong sleuth and her SAR skills help her in so many ways. Her confidence has grown since the first book and she seems physically stronger too. She does get into some dangerous situations and even gets hurt and she just keeps plugging until the last clue falls into place. At times it was like watching a scary movie and I wanted to yell, “don’t go there!” but of course she does and we suffer together through those white knuckle moments. I recommend reading the books in order. 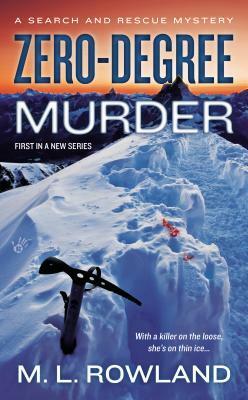 You can read my review of Zero-Degree Murder here. The author’s Search and Rescue experience shines in both books. She also describes the settings so well. On and off the paths seem to be absolutely beautiful. The mysteries are fantastic and the hints of romance continue to build. 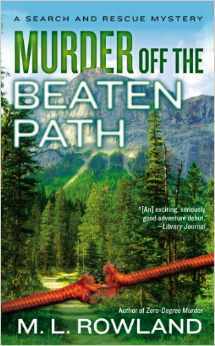 I am anxious to see how things play out after all that has happened in Murder Off the Beaten Path . It should be very interesting! 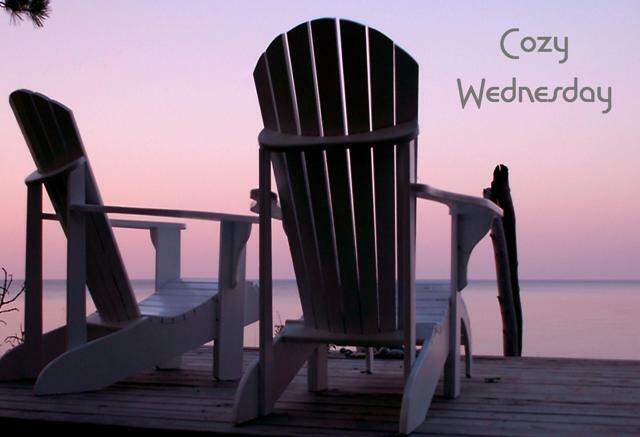 Leave a comment for M. L. for 5 Bonus Entries. This sounds like such a fascinating series. Both books are now on my wishlist! Search and rescue has always fascinated me. Would love to read a book from the woman’s point of view in a mystery on one of these rescues! Search and rescue can be dangerous enough without a murder I would think. i just purchased the 1st book in this series!!!! cannot wait to start it!!! What an intriguing series! Eye-catching covers too. THE SERIES SOUNDS GREAT! THANKS FOR THE GIVEAWAY! I bet you have some amazing stories from your time with Search and Rescue. Gosh your books are going to be fascinating!